Quilts evoke the past - they conjure our earliest memories of security and warmth and resonate with cultural references dating back to the middle ages. The colourful history of this humble linen can be found in the names of their stitching patterns: Broken Plaid, Hanging Diamond, Twisted Rope or True Lovers' Knot, and in their layers, many of which conceal hidden histories and untold stories. Grayson Perry's Right to Life quilt is his response to America's abortion debate and Tracy Emin, revealed her life story in her "first blanket" Hotel International. 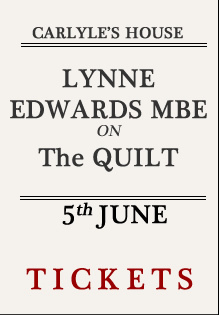 In her talk Lynne Edwards will outline the past, present and future of quilts with examples of her work and others. Lynne Edwards is an internationally-known quilt designer, teacher and author. Her quilts feature in exhibitions throughout the world and her teaching is in similarily high demand. In 1992, she won The International Quilt Association’s Jewel Pearce Patterson Scholarship in recognition of her outstanding qualities as a teacher. In 2000, she was awarded an Honorary Lifetime Achievement Award by The Quilters’ Guild of the British Isles and, in 2002, she won the prestigious Amy Emms Memorial Trophy at the annual British National Quilt Show, ‘Quilts UK’. 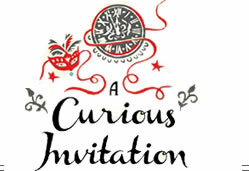 She was awarded an MBE in the New Year’s Honours list in 2008 for services to Arts and Crafts.